Last year, when I arrived at Whitecaps FC I built a rudimentary player monitoring system that took in to account several data streams that could be used to provide coaches and medical staff with information on the training and adaptability status of all players on the team. In this update to what I wrote about last year, I will discuss the nuts and bolts of the system in Part 1 and in two subsequent posts, I’ll discuss the report that the coaches receive each day and the rationale of why I chose to include or exclude certain data streams. This year, I built upon the existing system and added many new features to the point that it is quite comprehensive. I frequently have visits from other fitness coaches from a variety of fields ranging from European soccer clubs to the US Olympic Committee sport physiologists and from what I’ve been told, the system is as comprehensive as any they have come across. 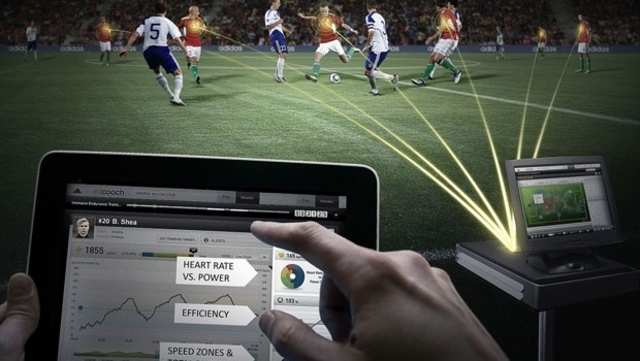 The player monitoring system is built upon Smartabase but could really be built on any database product. We have free access to Smartabase because we place so many people on Canadian National Teams. It works well for us. The player readiness system is essentially a piece of software that sits on top of a database platform. The system takes in to account a lot of data streams and creates several useful points of interest that coaches and medical staff can use to make decisions on how hard or frequently to train players, how a player is living their life and managing stress off the pitch, how fit a player is, and whether a player needs rest or training among other things. It makes use of both subjective, objective and quasi-objective data from multiple sources. It’s not dependent on any one data stream but does need to be ‘fed’ daily….even when we don’t practice or have matches to provide accurate insight on each player. Minutes played in a game (I’ve attributed a stress load based on the number of minutes played. The load is based on previous match related fatigue research. Even subs who don’t play get ‘credit’ for heaving suited up, warmed up multiple times, etc). Post game fatigue survey when possible. Prozone 3 in-match fitness data when available (looking at physical load when PZ3 stats are available). We only had this for our conference home games this year. MiCoach Elite data when available (to be honest though, we rarely wear MiCoach Elite in games). Environmental stress when applicable (research shows the load on a player is higher when there’s significant environmental stress like high heat or cold, humidity, or altitude and the system takes that into account). Travel stress when applicable based on duration of travel (longer travel = more stress, disruptive to sleep, acute changes in muscle physiology). Match outcome (research and experience indicates athletes recovery, or at least their perception of it, is worse after losses compared to wins). Post match fitness when applicable (I regularly train substitutes who did not play and this gets added on to the above info). Pre-practice wellness surveys on sleep duration, sleep quality, recovery, soreness, energy, irritability, focus, etc. This custom survey is a modified version of the validated Hooper-Mackinon survey . Players complete this every morning. Quasi-objective TRIMP score based on the scaled product of each athlete’s session duration and their own perceived rating of practice difficulty that we collect following training. MiCoach Elite data. We use MiCoach Elite to monitor physical load every session. MiCoach Elite provides GPS, Accelerometry and Heart Rate data for all players and creates various TRIMP scores based on that data. Because the data is based on performance relative to that player’s maximum capacity, it is particularly useful at providing a quantitative view on the physical cost of a session. I have recently setup the player monitoring system to look at the MiCoach Elite data and attribute a scaled training stress that can be factored in to the above two points. Weight room session load when applicable. Travel stress when applicable based on duration of travel. We try to enter as many data streams as possible in to the system every day for every player unless they are gone for extended periods of time (like international duty or loans). On days when we don’t see the player, we collect and enter data retroactively so the system is always up to date. The above points create what I call a “Daily Load” that is representative of the training and life stresses the player experienced that day. That is then used to calculate a ‘Readiness Score’ for each player. This score is based on the Daily Load for the past 6 days. The readiness score is used to assess accumulated fatigue and ability to adapt to subsequent training based on the above points. The previous 6 days are used in the Readiness Score but more recent days have a greater effect on the readiness score than days further in the past. This score is the cornerstone for the reports that coaches receive on a daily basis. In my next post, I’ll provide a more detailed look at the reports that coaches receive. Thanks for sharing Mike. Looking forward to other parts. Thanks. I like Smartabase. It wasn’t my first choice but it’s been quite convenient, especially the reports it generates that I send to coaches. Last year, I built the first generation of the system on visual basic and it worked but was more clunky and less visually appealing. I use Smartabase for storing and visualizing physical testing results as well as medical information.